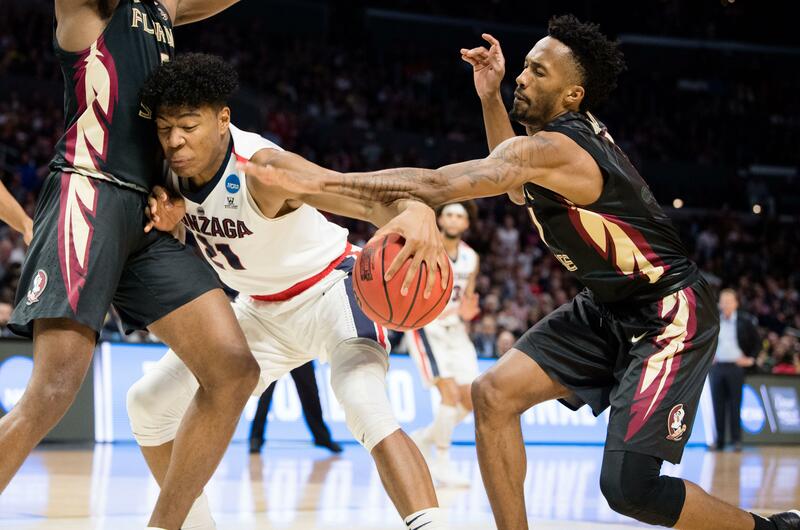 UPDATED: Tue., Oct. 23, 2018, 5:19 p.m.
Gonzaga’s Rui Hachimura narrowly missed making the preseason Associated Press All-America team. The junior forward from Japan received 10 votes from a panel of 65 media members. Hachimura shared ninth with Shamorie Ponds of St. John’s. Purdue guard Carsen Edwards received the most votes. He’s joined on the All-America team by Duke’s R.J. Barrett, North Carolina’s Luke Maye, Kansas’ Dedric Lawson, Nevada’s Caleb Martin and Wisconsin’s Ethan Happ. Martin and Happ tied for the fifth spot. Tennessee’s Grant Williams was next in the voting with 18, followed by Syracuse’s Tyus Battle (11). Gonzaga will face Tennessee on Dec. 9 and North Carolina on Dec. 15. Duke is a potential GU opponent at the Maui Invitational. Hachimura previously made several preseason All-America squads, including NBCSports.com and Blue Ribbon College Basketball Yearbook. He was on Athlon Sports’ second team. Teammate Killian Tillie was honorable mention on NBCSports.com’s list. Hachimura averaged 11.6 points and 4.7 rebounds per game last season. He led GU at 12.9 points in West Coast Conference games. Tillie was second on the team in scoring at 12.9 points per game. Published: Oct. 23, 2018, 10:33 a.m. Updated: Oct. 23, 2018, 5:19 p.m.